Simply look for three words and they will give you a good description of the kind of person you are. Life is a mystery after all. 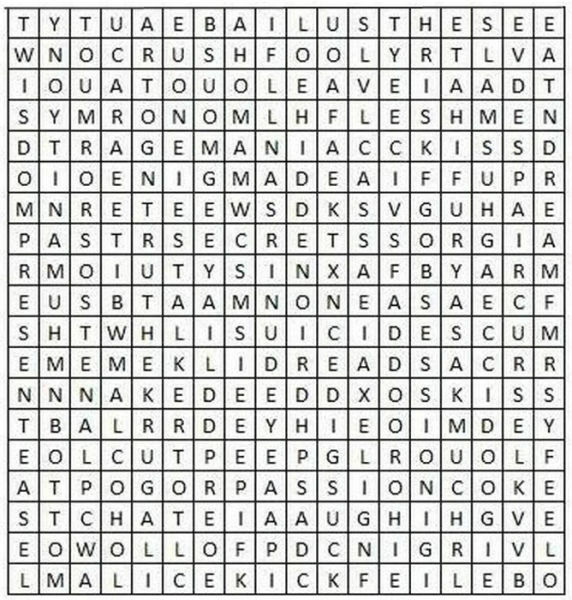 rush, mad and dread... nice. Suicide, Passion, Kiss, Naked... OK.
Secret , Scum, Rage, Suicide ... yeah! leave lust fool .... should i ? dream, talker & hate.. I hate the dreams that I forget so I can talk about them!! enigma, secret, passion. This puzzle works! Suicide, On coce, Cut.. ???? ?